A frequent question we here at Ketovangelist get is about blood sugar: When I cut carbohydrates, will I become hypoglycemic? The answer is almost certainly, “No,” but most don’t understand exactly why. The human body is an amazing machine, designed to keep you running efficiently under a plethora of different internal and external factors. When you’re keto you quickly find out that the body has more than one way to provide energy to the cells. We’re all familiar with the glucose pathways wherein the body breaks down sugars, circulating them in the blood for energy, and storing excesses inside the cells via insulin. 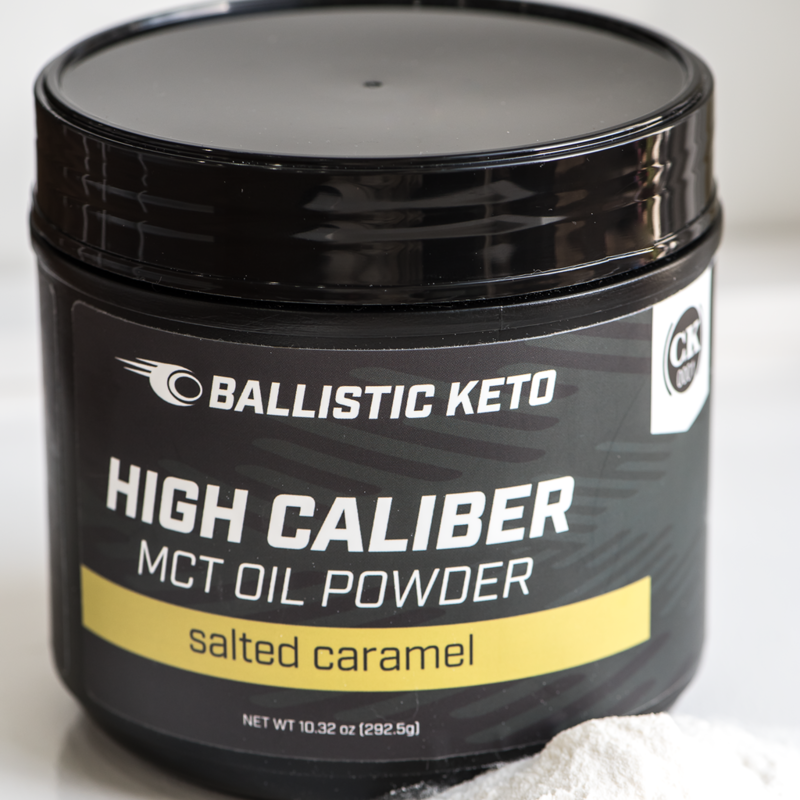 We should also be familiar with Ketogenic pathways, where the body breaks down fat and creates ketones to circulate for energy in lieu of glucose. There is a third metabolic pathway we should be familiar with as it’s relevant to the question above. This pathway is called gluconeogenesis. Breaking down the word, it means “creating new sugar.” Gluco = sugar. Neo = new. Genesis = creation. So gluconeogenesis is a process by which the liver converts non-carbohydrates (fats, amino acids, glycerol, lactic acid, etc.) into glucose. The purpose of this is to regulate your blood sugar. When your blood sugar begins to dip into unhealthy lows, the pancreas releases a hormone called glucagon which stimulates the liver to begin the process of pumping sugar into your blood, in order to raise blood sugar back to stable territory. The process occurs in a couple of ways. One way is by the breakdown of hepatic glycogen (very long chains of sugars in the liver). But the liver can only store a small amount of glycogen. In order to meet higher demands, that’s where gluconeogenesis comes into the picture. The reason you should not become hypoglycemic on a Ketogenic diet or any way of eating that substantially cuts carbohydrate intake is because your body naturally regulates your blood sugar, keeping it at maintenance levels, via gluconeogenesis. Unless you have a medical condition that impairs proper liver function, or are otherwise on medications that would unnaturally force your blood sugar into unsafe lows, you should not generally have trouble naturally regulating blood sugar on a Ketogenic diet because of this process. The diabetic drug Metformin, for example, is designed to target gluconeogenesis in the liver and prevent glucose molecules from forming. If you’re taking it or any other diabetic medications you may need to work with your doctor to reduce or eliminate dosages as needed for healthy blood sugar control. Gluconeogenesis is also why we stress the need for eating adequate protein. Everyone has heard of cases where people who are on extremely low calorie diets, have eating disorders, or are starving begin losing muscle mass. That’s because your body will begin breaking down your lean muscle tissue to create glucose energy and regulate your blood sugar if it isn’t getting enough via dietary intake. It is very important on ANY way of eating to provide your body enough food in general, and protein in particular, so that it doesn’t need to use your lean muscle tissue to self-regulate. On a SWD (Standard Western Diet) there generally isn’t a strong need for the body to produce glucose via the gluconeogenesis pathway because you’re providing it with lots and lots of sugar. On any low carbohydrate way of eating, or during periods of fasting and/or extreme exercise, gluconeogenesis is a must for proper blood sugar regulation, so this process is very important to the Ketogenic lifestyle. What about eating high protein? We tend to stress not over eating protein and for good reason. There have been several studies done (see one here) that show even in healthy adults, eating excessive protein can lead to weight gain, insulin resistance, and diabetes, as well as a host of other diseases. For our purposes, we will talk about the insulin and diabetic factor. Simply put, eating excessive protein- even on non-Ketogenic ways of eating– has the potential to cause higher blood sugar and excessive insulin release because of the gluconeogenesis metabolic pathway. When you’re consistently overeat protein, you’re giving the liver stuff to convert to glucose. To quote Dr. Jason Fung, “Amino acids [derived from protein consumption] cannot be stored for long term energy. Any protein eaten in excess needs to be converted to glucose or fat for storage.” Basically, unlike fat, amino acids cannot be stored in large amounts. A small amount can float around in the blood, and a small amount can be stored in different areas of your body, but they cannot just hang around. They have to be used, or they will be changed or excreted. The body only needs so much in the way of the essential amino acids we get from protein. When you feed it too much of these, something has to happen to them. According to Dr. Fung, the amount we lose via excretion of waste is minimal. Where do they go? To the liver for gluconeogenesis. So when you eat too much protein the effect can be similar to eating too much in the way of carbohydrates: higher blood glucose levels, increased insulin stimulation, storage of excess glucose in the cells and conversion of those excesses to body fat, and interference with fat loss and/or ketosis. We tend to recommend using the minimum protein calculations that Dr. Adam Nally has so kindly provided here, and staying within ten grams or so of that daily. Although, Dr. Fung suggests you could go even lower than Dr. Nally’s formula, so as always we encourage you to experiment a little with your protein intake to find the right balance for your own body. Also, please remember that our energy needs per day are going to vary greatly so it’s very important to listen to your body. We always use macro numbers as a guidance, and not as a goal to be met exactly every day. If you’re not hungry today, do not force yourself to eat protein, or any macronutrient, just to meet a number on a calculator or an app. If you’re really hungry tomorrow, eat! So long as you are not consistently grossly over or under your protein grams every single day you should be fine. If you’re listening to your body and eating intuitively you should see an average, over time, of eating in the appropriate ranges. Knowledge is power, so understanding what your body is doing and why the Ketogenic protocol recommends doing things one way or another is important to fully embracing the lifestyle. Be empowered, be awesome, and Keto on.